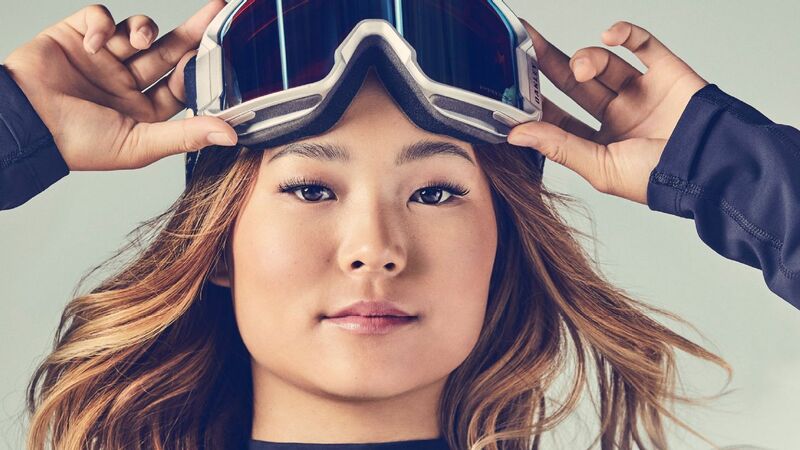 For snowboard star Chloe Kim, dropping into the halfpipe is far less daunting than grasping how to be American and Korean at the Winter Olympics in Pyeongchang. Three years ago, snowboarder Chloe Kim was good enough for the Olympics but not old enough. Now, the teenage phenom will make her Olympic debut in South Korea, her parents' homeland. From their favorite for flag bearer to the changes they'd champion, 105 Olympians (men and women) weigh in on the Games' biggest issues -- and don't always see eye to eye. Need a healthy, hearty breakfast that can be made in a tiny kitchen? This dish fits the bill. Olympic veteran Kendall Coyne Schofield is breaking barriers on the ice -- and already training hard for 2022. She shared the morning meal that she has perfected. Olympic champion snowboarder Chloe Kim said she broke her ankle at the Burton U.S. Open this weekend and will need surgery. Olympian Maddie Mastro calls these "POWer Balls" -- and she takes them with her whenever she needs something to eat on the go. The worlds slopestyle finals were canceled Sunday due to strong wind gusts, which led organizers to base the women's and men's medalists on the qualifying rounds. Chloe Kim added a world championship to her growing collection of titles by easily winning the women's halfpipe contest and giving a glimpse of things to come. Lindsey Jacobellis and Mick Dierdorff combined to win the mixed team snowboardcross competition for the Americans at the world championships on Sunday. Olympic bronze medalist Arielle Gold uses this move to build the fast-twitch muscles she needs to explode off the halfpipe. Kelly Clark, who dominated her sport while ushering in the Olympic era, has decided to retire. Olympic medalist snowboarder Max Parrot of Canada has been diagnosed with Hodgkin lymphoma. Skier/snowboarder Ester Ledecka has decided to compete in the Alpine skiing world championships next month instead of the snowboard worlds. Shaun White has apologized to the Special Olympics community for dressing up as Simple Jack, a character from the 2008 movie "Tropic Thunder," for Halloween. The father of Team GB snowboarder Ellie Soutter -- who died on her 18th birthday -- has called for more to be done to raise awareness of mental health in high-level sport. Team GB snowboarder Ellie Soutter has died aged 18, the British Olympic Association announce on Thursday. Roger Federer, Kevin Durant, J.J. Watt, Chloe Kim, Adam Rippon and cricket batsman Virat Kohli were recognized as part of the Time 100. Five of nine gold medals and half of all of the American medals have been won by the U.S. snowboard and freeski teams in Pyeongchang. In an unheard-of Olympic double, Czech sensation Ester Ledecka won a gold medal in snowboarding's parallel giant slalom on Saturday to go with her surprise skiing victory in the Alpine super-G earlier in the Winter Games. With Ivanka Trump in attendance, Canadian snowboarder Sebastien Toutant soared to gold in the Olympic debut of the men's Big Air competition. Austrian snowboardcrosser Markus Schairer, who broke his neck in a frightening crash at the Olympics last week, is considering a return to the sport. Saturday's highlights in Pyeongchang: Red Gerard hopes the big air competition will bring him more hardware, and the U.S. men's curling team plays its first Olympic final.